Living in a home on a concrete slab in the Northeast of the U.S. can get quite chilly, especially in the winter months. It's beautiful in the summer and keeps our home cool, but in February you don't want to be caught barefoot on our tile kitchen floor or laminate living room floor. I really wanted to find baby E some slippers that wouldn't make her foot sweaty and weren't synthetic. 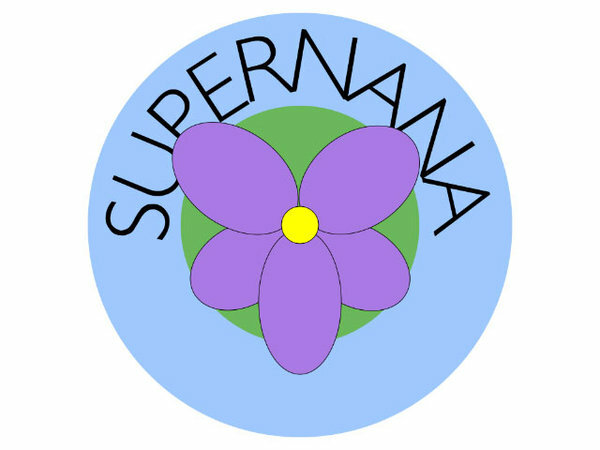 I was really excited to find Supernana! For review, we were sent a pair of hand made wool baby slippers and a wool iPod sleeve from their sister company - Laptop Tailors. Fit & Design: The design of the supernana slippers is very simple yet genius. The elastic on the front makes them really easy to put on, yet they stay put without slipping off. There are also non-slip grips on the bottom, it is very rare that baby E slips in these, unless she is tip-toeing. My favorite feature by far is just the material itself, which makes these slippers superior. Whenever she wore synthetic slippers her feet would always be sweaty and damp, now they are warm and dry in cozy wool! The only thing that would be nice to change about the slippers is the seams on the inside, they are pretty thick. Though I have no idea how that could be done, and I'm sure it would add a lot more labor to the process. My baby doesn't mind them at all, but they may not work for kids with sensory issues. The iPod sleeve is just as genius. I don't actually own the gadget, but I gave it to my sister in law. The iPod fits perfectly and snugly right inside the sleeve. When you buy one you specify the exact gadget you have so that it fits perfectly (or specify a custom size). Keeps it from scratching and protects it in case of dropping. Quality & Value: When I first saw our nearly new hand me down polyester slippers I knew they would wear out fast, sure enough in just half a year they were 'holy'. No chance of that happening anytime soon with the Supernana slippers. They are solid felted wool and will last a while, definitely longer than they will fit baby E. They'll be passed on to siblings for sure, hence I chose the gender neutral natural gray color. The wool felt slippers cost 21.95 €, which converts to about $30.06. You would get the most bang for your buck if you buy this for your first baby and use with any subsequent ones as well. They can be worn year round by the way, not just in the winter. The wool keeps the feet from sweating no matter what the temperature. They also carry many other cute styles, by the way, in a similar price range. Letterbox sized packages are shipped free, larger packages are 5 € within Europe and 10 € for the rest of the world ($6.85 and $13.70). The LaptopTailors handmade sleeve for the iPod is equally of high quality construction. It retails for 9.95 €, or $13.63 - with free worldwide shipping. You can also get one for an iPhone sleeve at the same price, iPad for 29.95 € ($41.02), and MacBook for 44.95 € ($61.56). You can also get a custom size. How is this green: Supernana and LaptopTailors products are made of highest quality pure new wool that's Oekotex certified. A renewable resource! Made in Europe by fairly paid women. Who Would You Recommend this to? 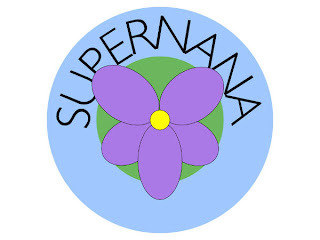 Whether you need baby/child slippers, a non-toxic rattle, a baby sleeping bag, a mohair baby beanie, OR a gadget sleeve for yourself - Supernana has you covered.